Even after a transition period of more than five years, Kenya’s Solar Water Heating Regulations 2012 continue to be challenged. This May, a property developer filed a lawsuit, questioning their legality. They took effect on 25 November 2017, but their enforcement was halted at the beginning of the trial. Likewise, market players have been putting pressure on the government to review the rules to create a more investor- and consumer-friendly piece of legislation. Kenya’s energy regulator ERC, however, is standing firm and has issued a notice, urging owners of commercial and residential property to comply with the requirements. The regulations stipulate that solar thermal installations in new, extended and retrofitted buildings used for either residential or commercial purposes must meet at least 60 % of annual hot water demand. The rules apply only to buildings which have a hot water demand of more than 100 litres per day (see the attached document). In May, Nalinkumar Shah, a property developer based in the city of Nakuru, 157 kilometres northwest of Nairobi, claimed that the ERC and the Cabinet Secretary for Energy, Charles Keter, had violated the rights of building owners by imposing the solar water heater rules. He argued that both had infringed on the right to own property and use it as one sees fit. "The Cabinet Secretary, via the Ministry of Energy, had not presented a memorandum providing justification for the rules before drafting, although they are going to put a heavy financial burden on the public,” Shah told High Court judge Justice Anthony Ndungu. The judge halted enforcement of the regulations to hear and decide Shah’s case. Earlier in February, a group of stakeholders involved with Kenya's solar thermal market handed ERC a petition in which they called for improvements to the consultative process to encourage growth and increased compliance with the new regulations. The public- and private-sector representatives asked that the energy ministry use every consultative process at its disposal and convene a stakeholders’ forum, to be attended by industry experts and professionals as well as agency staff, to jointly discuss and offer solutions for improving the performance of the solar water heater market. 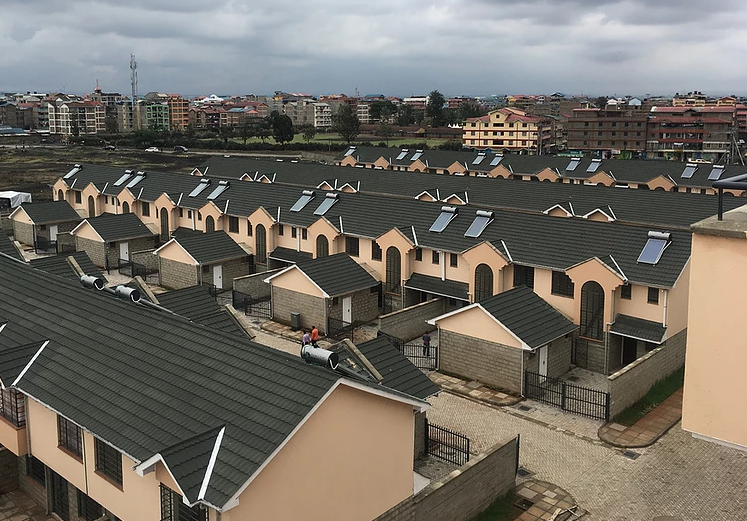 “So far, the regulations have been all ‘stick’ but no ‘carrot,’ so market uptake is still slow,” said Geoffrey Ronoh, Director at Strathmore University’s Energy Research Centre. Ronoh oversees the training of solar thermal technicians, both in the public and private sector. Current building regulations prevent Kenya's sole electricity distributor, Kenya Power, from providing electric power to premises without a solar hot water system. “Kenya's solar thermal market has yet to experience a rapid increase in sales, as several barriers and grey areas remain, and the new regulations are not effective enough to jump-start growth in the solar water heating market,” he said. Ronoh added that the government should partner with businesses via the ERC and come up with ways to incentivise the installation of solar water heaters in commercial and residential buildings. Measures could include funding schemes, awareness campaigns and support for the local manufacture of key components, such as collectors and storage tanks. Although the government has begun to offer tax relief for solar water heating systems, the equipment is still expensive. In Kenya, estimates put the cost of residential solar water heaters at USD 1,240 to 1,489, while owners of commercial buildings can expect to spend between USD 5,958 and 19,859 on design, purchase and installation. A review of approved building rules would be necessary to include other renewable technologies such as photovoltaic systems. “The regulations narrow down the number of technical options available for hot water use in both commercial and residential buildings. This should not be so. Consumers buying the technology should be allowed to explore other renewable energy options,” Ronoh said. The article was written by Shem Oirere, a Nairobi-based freelance business journalist focusing on energy, construction and chemicals.